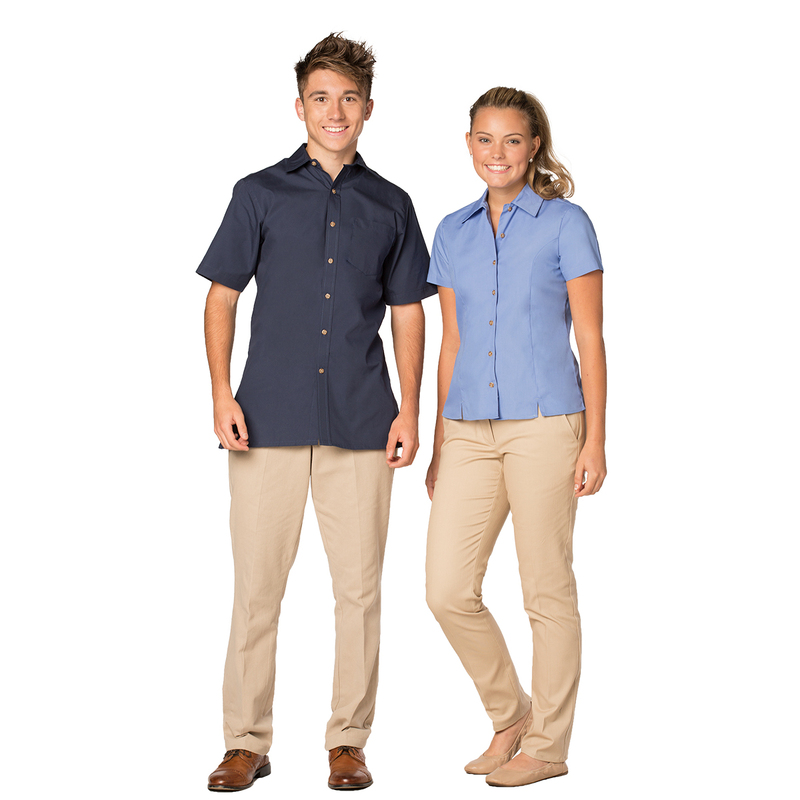 Our Men’s Poplin Short Sleeve Shirt with wood-toned buttons is a perfect shirt for any casual career, hospitality or school uniform program. Our poplin shirt is available in french blue, navy and white. The Men’s version features a shirt collar, back yoke, left chest pocket with side vents and a straight hem. Unique wood-tone buttons give this shirt a hint of warmth and flair. Build a versatile mix and match uniform program with three complimentary colors. Wear it tucked in or out. Wrinkle resistance and machine washable, this shirt is truly easy care for end users. 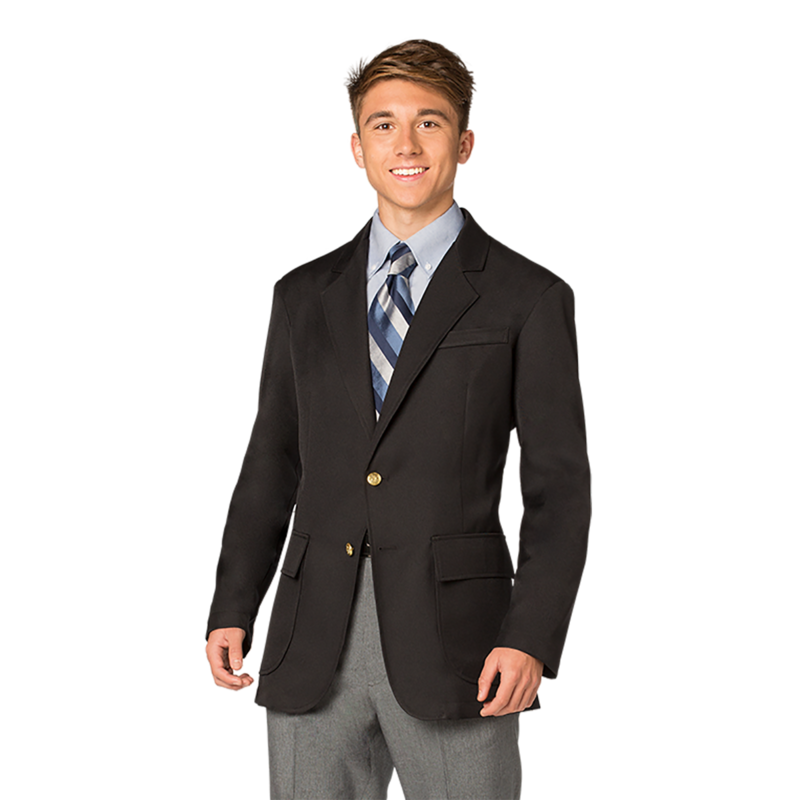 A great new option for buyers interested in a stylish poplin shirt.